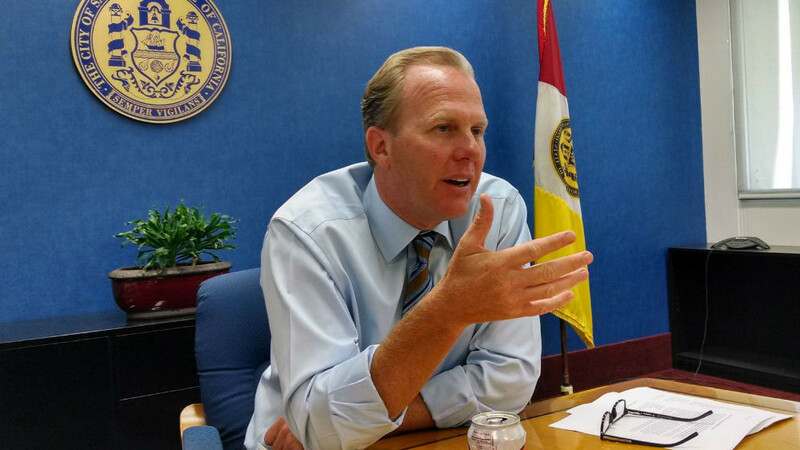 Municipal bond refinancing over the past three years is expected to save the city $464 million in future interest payments, San Diego Mayor Kevin Faulconer announced Thursday. Staffers expect that recent efforts, intended to take advantage of currently low interest rates, will free up an additional $24.5 million for infrastructure projects, Faulconer said. Refinancing efforts began in 2015 with over $2.15 billion in bonds related to Petco Park construction and redevelopment projects, as well as various water and wastewater projects. The amount refinanced represents about 65 percent of the city’s total outstanding debt, according to the city. The latest round of refinancing includes restructuring the city’s tobacco settlement revenue to lower the interest rate and secure $24.5 million in cash to fund priority infrastructure projects. Staff also secured a lower interest rate on $132.5 million in outstanding deferred capital bonds to save $28.4 million in future interest payments over the next two decades. The action was made possible by a provision within the recent Tax Reform Act, according to the city.